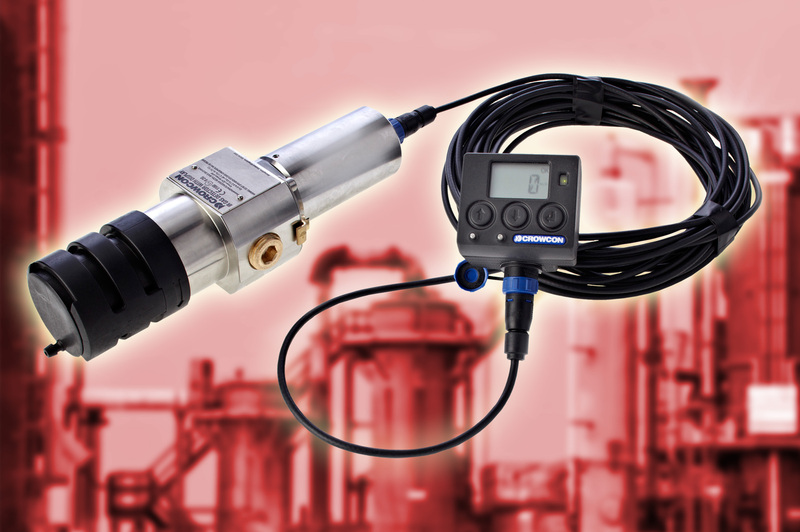 Gas detection specialist Crowcon has released the latest IRmax capability extension, enabling the detection of 29 hydrocarbon gases or vapours. As a key component of Crowcon’s Fire & Gas Safety portfolio, the infrared gas detector can now be calibrated for more obscure gases or vapours like toluene, cyclohexane, isopropyl alcohol, methyl ethyl ketone (MEK) and paraxylene, along with the more common hydrocarbons such as methane, ethanol and LPG. Conventional IR gas detectors use power consuming heaters to prevent condensation on windows and mirrors. Not so the IRmax. Instead, its optical components are treated with the highly durable, hydrophobic coating STAY-CLIR that completely prevents signal faults due to condensation. Because the IRmax contains no optical surface heating components, power consumption is dramatically reduced. It requires less than 1 Watt of power, typically 75-90% lower than other IR gas detectors. A gas detection system using IRmax detectors therefore requires smaller, lower cost power supplies and battery back-up systems. Longer cables can also be used and more detectors can be powered on addressable networks. Featuring dual-wavelength IR sensor technology in a rugged 316 stainless steel package, the ultra-compact IRmax provides rapid, fail-safe detection of potentially explosive hydrocarbons under the most extreme conditions. Capable of operating in temperatures ranging from -40 to 75˚C, Crowcon’s IRmax units are used in some of the most extreme climates on earth, ranging from the Siberian tundra to the Arabian desert and from the North Sea to the Niger Delta.